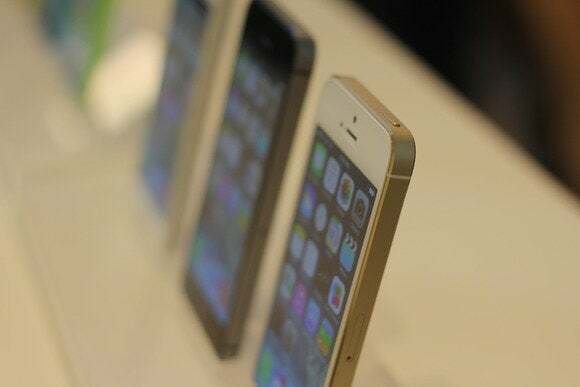 After top smartphone makers announced new products at Mobile World Congress this week, Apple’s iPhone 5s remains the only 64-bit handset available. But with new chips announced at the show and 64-bit Android now ready, competitive handsets are only a few months away. Intel showed off handsets running its next-generation Merrifield smartphone processors. Closer competition to Apple will come from Qualcomm, whose new Snapdragon 615 eight-core and 610 quad-core chips will be in handsets by the fourth quarter. The new Snapdragon chips are similar to Apple’s A7 64-bit chips, with CPUs based on ARM’s 64-bit ARMv8 architecture. The Snapdragon 615 could be overkill for smartphones, but it does stand out, with features such as an integrated LTE modem, a video decoder for H.265 4K video, and 802.11ac Wi-Fi technology. MediaTek, which typically supplies chips for lower-priced handsets, announced its own 64-bit chip for affordable high-end smartphones. The eight-core MT6752 has integrated LTE, 1080p video capabilities, 16-megapixel camera support and other features. Mediatek’s chip will become commercially available in the third quarter, though the company did not say when smartphones with its chips would appear. 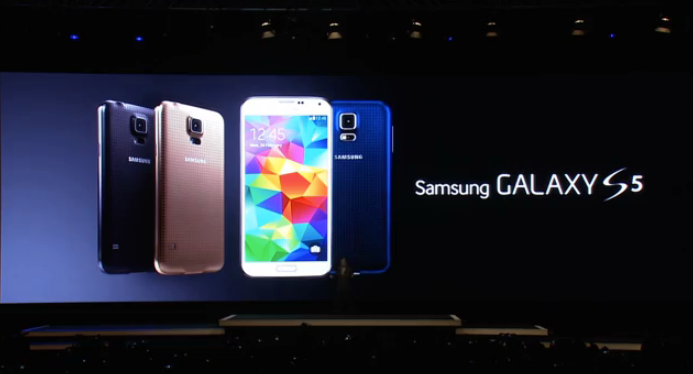 One disappointment at MWC was Samsung, which announced the highly anticipated Galaxy S5 smartphone with 32-bit chips. The S5 was supposed to be Samsung’s answer to the iPhone 5s, but it will launch initially with Qualcomm’s Snapdragon 801 and Samsung’s new Exynos 5 Octa 5422 eight-core chip, which is based on ARM’s older Cortex-A15 and A7 cores. 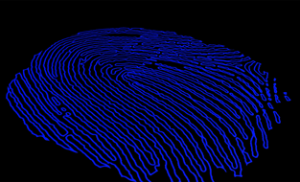 64-bit chips will help enable better fingerprint sensors, analysts say. Performance improvements will be manifest in gaming applications, fingerprint sensing, facial recognition and speech interaction, Ferguson said. The algorithms related to those tasks can take advantage of 64-bit processing. Using 64-bit chips also allows for more than 4GB of memory, though smartphones don’t have that level of memory yet, Ferguson said. There won’t be a big difference in battery life for 64-bit smartphones compared with handsets today, he said. 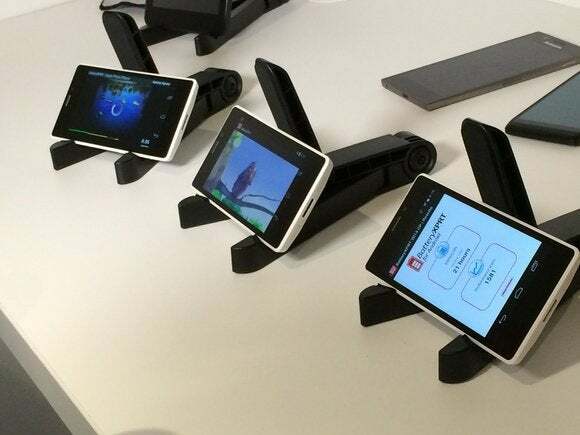 The 64-bit ARM-based handsets that come out in the coming months may run a 32-bit version of Android, ARM’s Ferguson said. The ARM architecture has backward support for 32-bit applications.